Regina Lee (affectionately known as Ms. Reggy) is the Artistic Director of Be Dance. She has been studying dance since the age of three, and has 20 years of experience teaching and sharing her passion for dance to children and adults of all ages. One of Ms. Reggy’s favorite experiences is when she was a professional dancer with the Atlanta Hawks Cheerleaders. She is a part of Calo Theatre Company where she acts and dances Flamenco professionally. She is also a member of the National Dance education Organization (NDEO) and is currently enrolled in their Professional Development Institute. Ms. Reggy has trained with the best teachers and choreographers around the world. She continues to stay abreast of the latest trends and developments in the world of dance, always seeking further education and training. Her favorite is traveling to Spain to take Flamenco workshops from the very best! Be Dance is committed to bringing you excellence in dance, and an amazing experience in everything we do. We believe strong technique is the foundation of any artistic path. Our faculty is highly qualified to lay that strong foundation in all of our styles - ballet, jazz, acrobatics, hip hop, flamenco, tap, contemporary, and more. By teaching our students discipline and commitment, we help them excel not only in dance, but in any endeavor they aspire to. At Be Dance every student is highly valued and receives high quality training regardless of the class or their skill level. 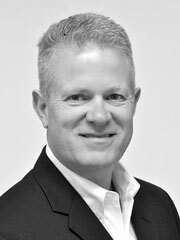 Jonathan enjoys selling, buying and refurbishing historic homes in Marietta and the metro Atlanta Area. He lives in Marietta with his 5 rescue West Highland White and Scottish Terriers: Fiona, Flo, Fergus, Fletch and Toby. He also volunteers with several rescue operations. Jonathan takes 4 to 5 Orange Theory classes per week to try to stay fit. He is a certified yoga Instructor, and has practiced yoga for over 10 years. Jonathan enjoys hiking, gardening, dancing and listening to live music. Originally from Cairo GA, Jonathan is a Graduate of Southern Polytechnic State University in Marietta.